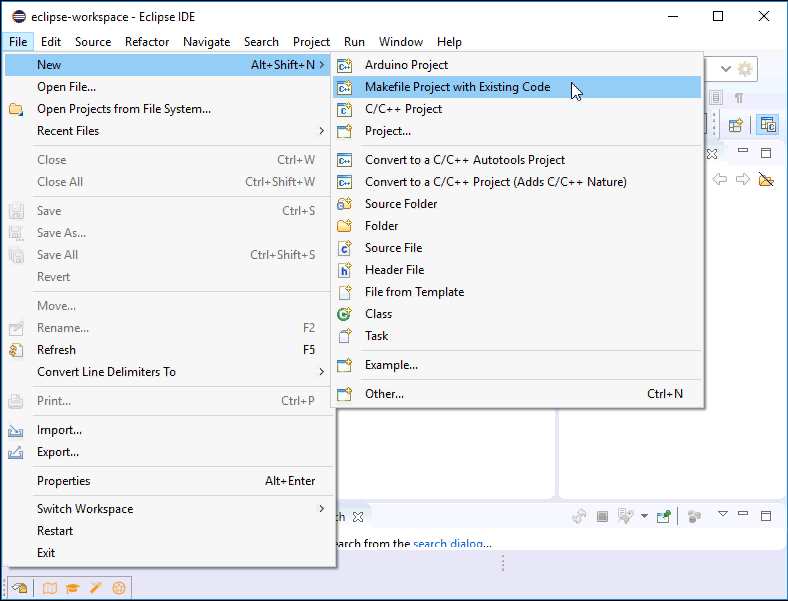 This page shows how to setup Eclipse on Windows to build using waf which allows building for all supported boards. These instructions replace the older method which relied on Make. 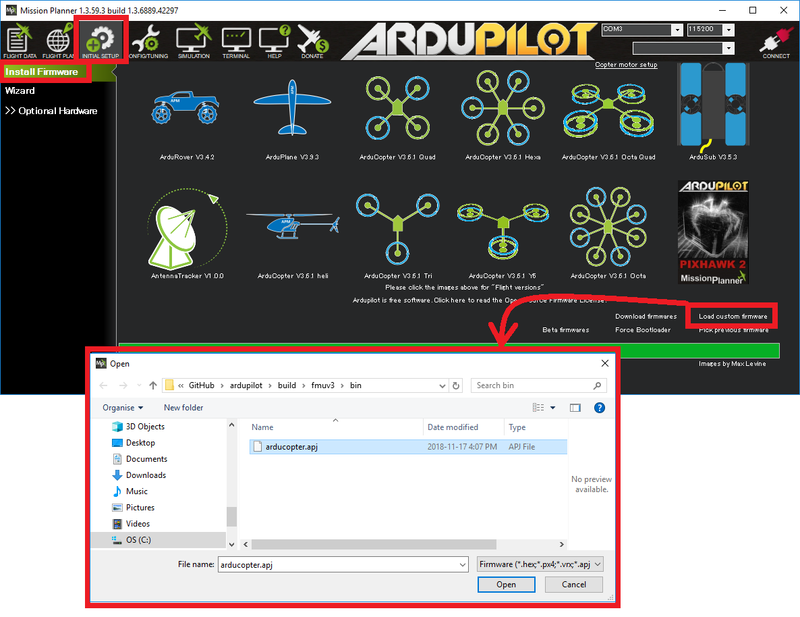 Within the “Build Targets” tab on the right select “ardupilot” and push the green “New Build Target” button. The arducopter.apj firmware will be created in the ardupilot\build\fmuv3\bin directory and can be uploaded from the Mission Planner or other ground station. 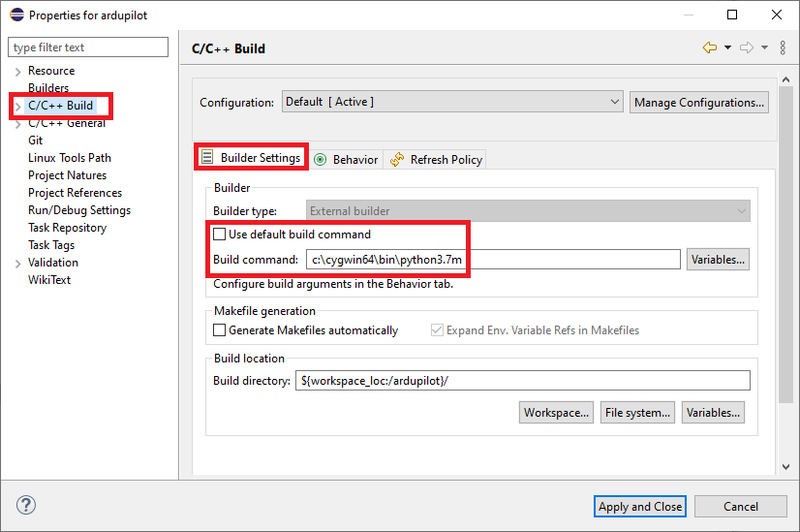 The configure build target described above requires the --no-submodule-update be prepended because the submodule update step of the build does not yet work with the setup described here. 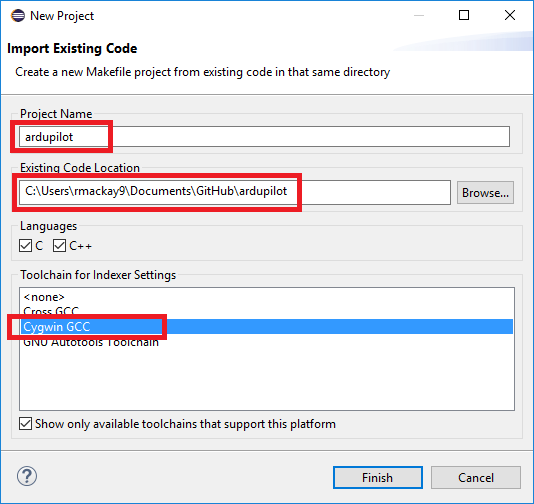 We expect this to be resolved in the future but until then, please open a git bash terminal and run git submodule update --recursive if you believe the submodules have been updated recently. 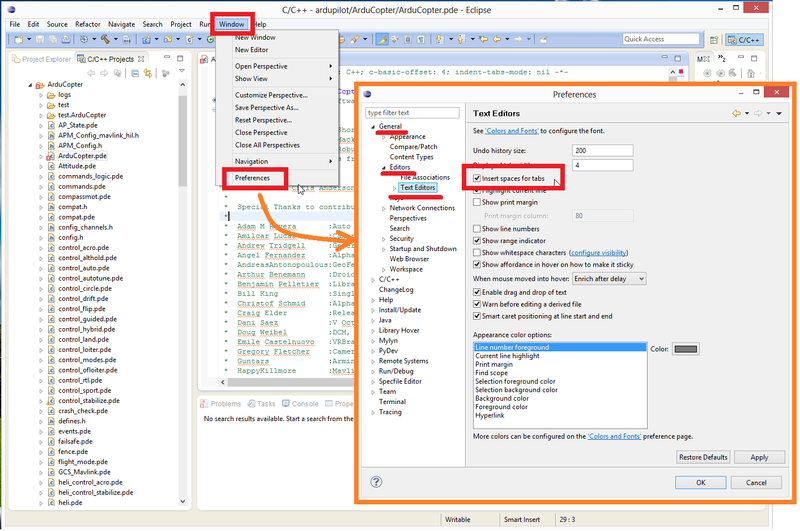 Select Window | Preferences | General | Editors | Text Editors | Insert spaces for tabs.